Roma head coach Eusebio Di Francesco has stressed the importance of preventing Porto from scoring an away goal in their Champions League last-16 tie on Tuesday (kick-off 8pm). 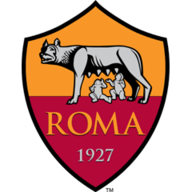 Last season's semi-finalists Roma welcome Porto to Stadio Olimpico looking for a timely boost in what's proved to be a frustrating domestic campaign. The Giallorossi are currently sixth in Serie A, 25 points adrift of leaders Juventus, and Di Francesco has challenged his side to shut out Porto ahead of the second leg at the Estadio do Dragao on March 6. "Tomorrow we have a great opportunity to produce a good performance and bring back some enthusiasm," said the 49-year-old. Porto manager Sergio Conceicao, who returns to Stadio Olimpico having represented Roma's rivals Lazio during his playing days, says he must overcome the selection setbacks. "I am paid to find solutions and not to be involved in the problems," he said, according to Porto's Twitter account. The 44-year-old added: "Obviously entering this stadium comes to memory the happy years and the many titles I have conquered in Lazio. It's always an emotion to come to Rome, but my focus is tomorrow's game. "There is no special feeling for confronting Roma. 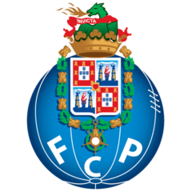 There is a special feeling for having at the heart the symbol of FC Porto." Porto's preparations have been hit by injuries to first-choice strikers Vincent Aboubakar and Moussa Marega, while midfielder Jesus Manuel Corona is suspended. Roma have never beaten Porto in European competition (D2 L2). They were eliminated by the Portuguese side in both previous two-legged encounters (1981/82 Cup Winners' Cup second round, 2016/17 Champions League play-off). Porto were one of five teams to remain unbeaten in this season's Champions League group stages, along with Ajax, Barcelona, Bayern Munich and Lyon. In fact, they have won their last five Champions League games, their best ever run in the competition. Porto are unbeaten in their last five Champions League games away from home (W2 D3) - they last went six away games without defeat in the 2003/04 campaign, when they won the trophy. 100 per cent of Roma's goals in this season's Champions League have been scored from inside the box (11/11). Bayern Munich (15/15) and Liverpool (9/9) are the only other teams yet to find the net from outside the box among the 16 remaining teams. Roma could be dark horses but they needed to get the right draw. They have got just that. Porto do not travel very well, and Porto and Ajax would have been one of my selections to face. Stephan El Shaarawy is scoring goals and I have always been a fan of Edin Dzeko - he always delivers. I always thought he was under-rated when he played in the Premier League.